Blue has been related to intelligence, wisdom, and tranquility. Thus, it is understandable when people color their room in blue. It looks calm and comfortable to relax. And if you love to go bright and bold, the bright blue will be able to accompany your wish too especially when it is completed with another bright color. 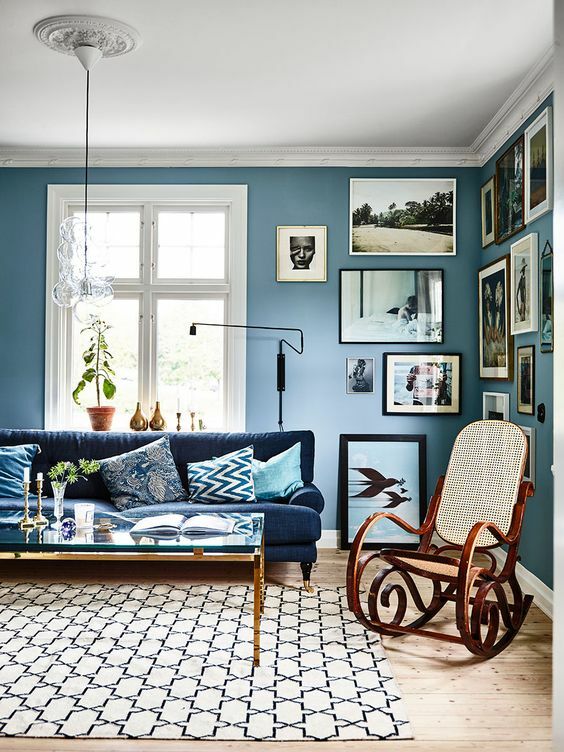 Here below are ten stunning living room in blue wall that will make you fall in love. 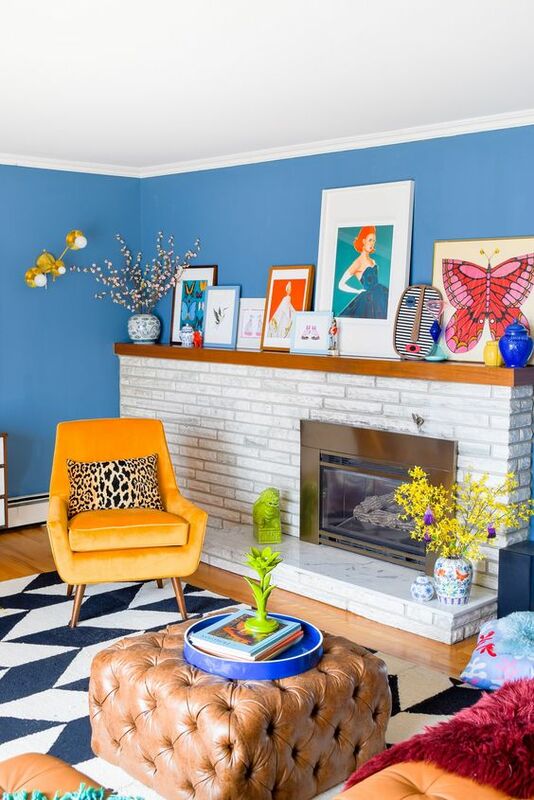 This living room here shows a very bright and bold spirit in decorating the living room. Accompanied with yellow chair and colorful accessories on the shelves makes it really merry. It is perfect for you who love to go bold and cheerful. 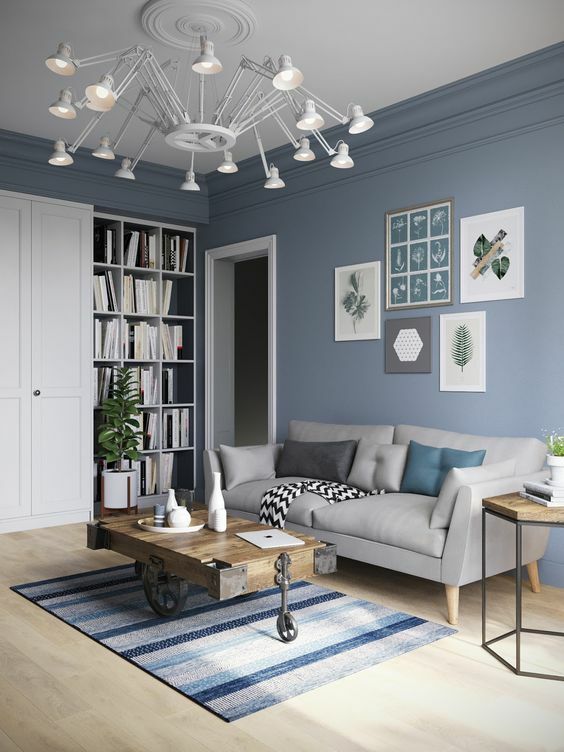 Contrary to the previous one, this one here presents a soft blue room that goes along with the grey sofa and warm rug. 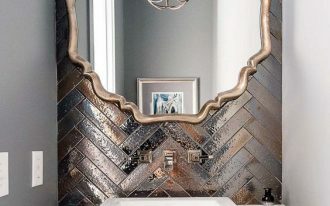 It brings the room calmness and comfort at the same time. 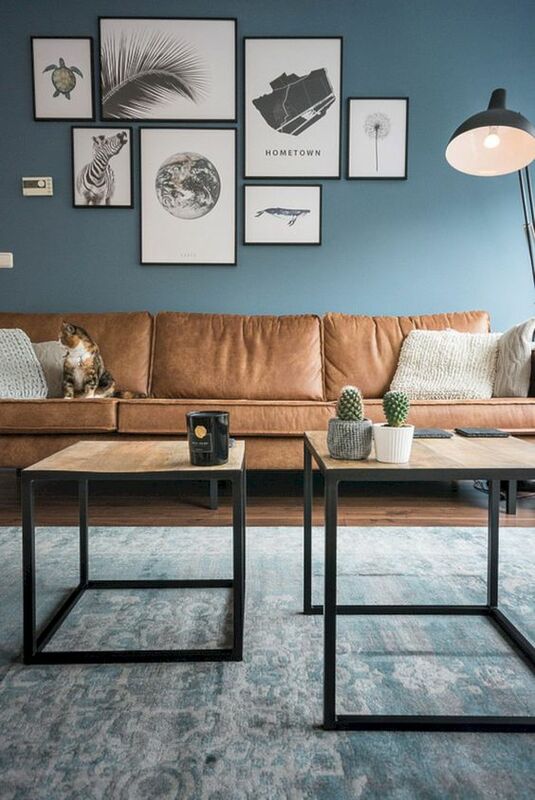 This beautiful modern living room looks so stunning with blue painted wall that is completed with blue sofa. Balancing it, the room is added with wooden rocking chair and glass top coffee table and white rug. 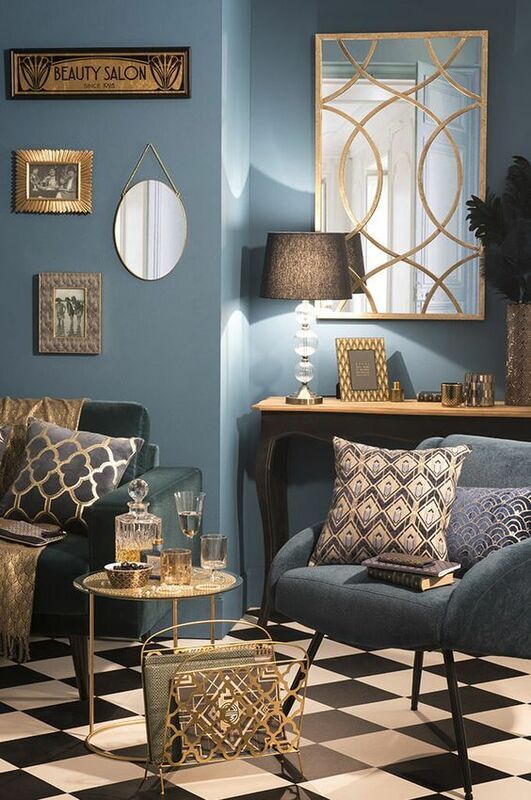 In this blue living room, the ambiance is made to be elegant with the golden accent. IT is seen on the magazine holder, pillows, round tray table, mirror, and some other accessories. The room look modern, elegant, and different. 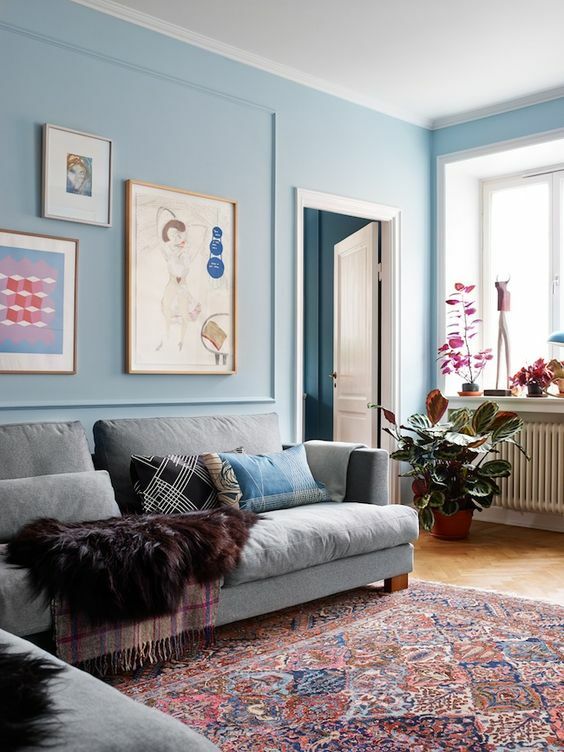 This living room here, with its blue wall and rug, shows a comfortable aura. 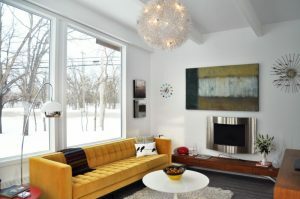 Added with brown leather sofa, it makes all the comfortable point is taken. It is a good place to hang around your friends and family. This one here is similar to the previous one with soft blue on the wall. Completed with white modern chandelier and reclaimed wooden coffee table, this one here shows a unique character with its details while also being modern. 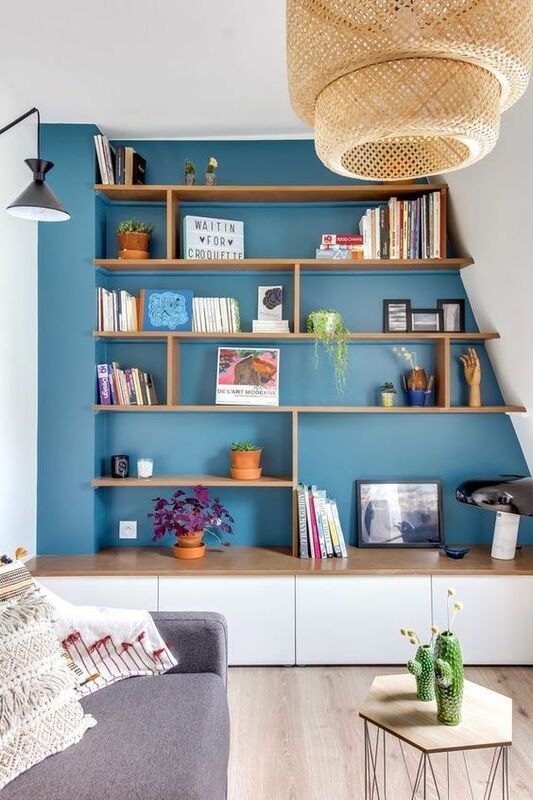 In this living room, the wall painted in blue is only some part of it that it.However, around white painted surface, it becomes more pronounced, especially when it is also a built-in shelves with wide cabinet top that can be a small bench. 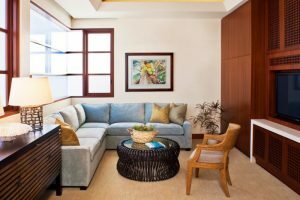 This one here is another living room with soft and calm blue ambiance. 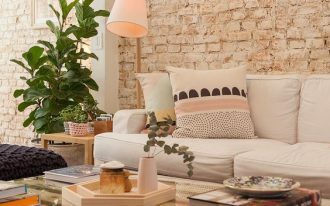 Not only on the wall, but the sofa, chair, and ottoman for the coffee table too. They are all in soft blue. 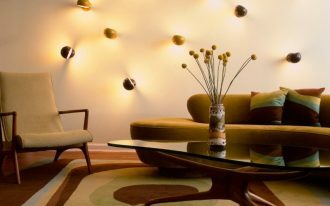 And together, they create a soft and calm ambiance. This one below shows a really fresh look on blue. 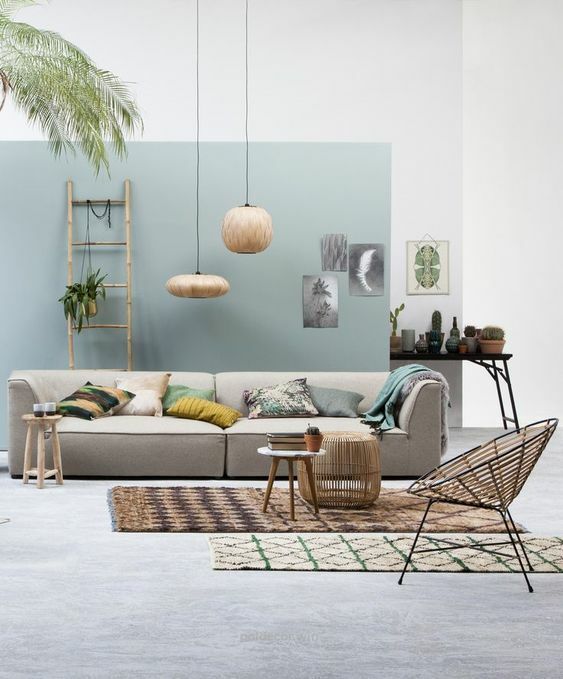 The blue sofa looks comfortable on the neutral surrounding. 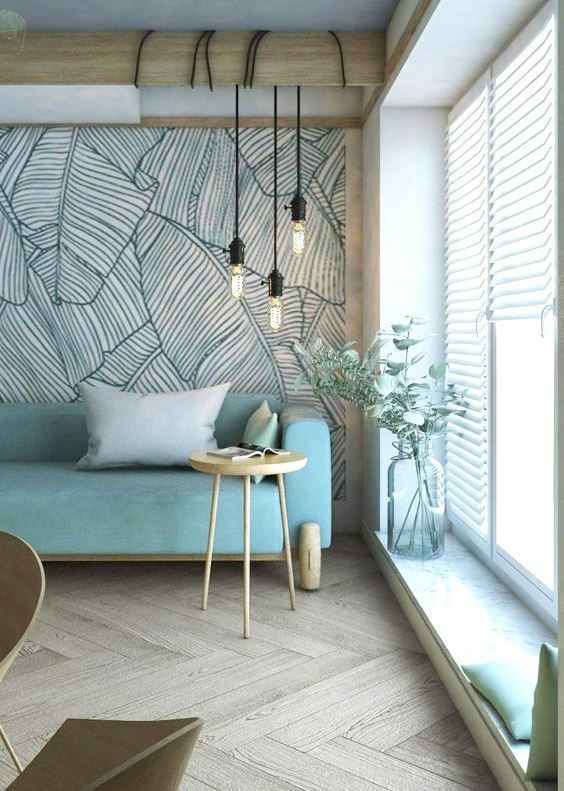 And the blue leave wallpaper complements both the neutral lok and the blue sofa. 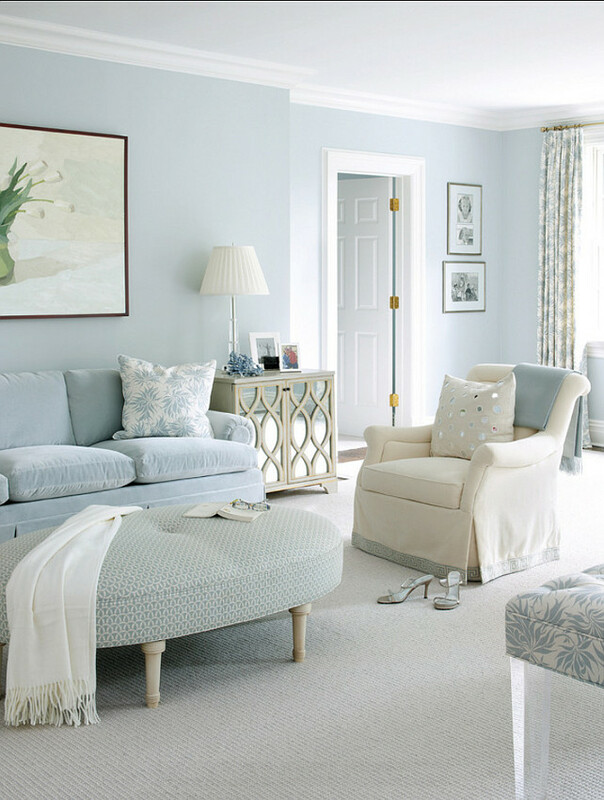 For a spacious living room, a soft blue will help the room to look even larger and thus more open. This one here shows a combination of white and neutral blue can look so pretty together. Completed with neutral furniture, the room is perfect.